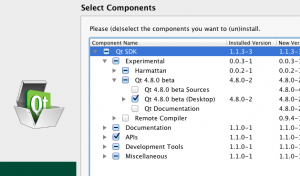 Qt is a C++ application framework. I tried to use Qt. But when I build the source codes, some warnings are occurred. I searched the warnings, and found that it’s a problem between Mac OS and Qt version. My Mac OS version is lion(10.7). On lion, Qt without warnings version is 4.8(beta). And I tried to install this version into my mac. and the app launched the SDK maintenanceTool. 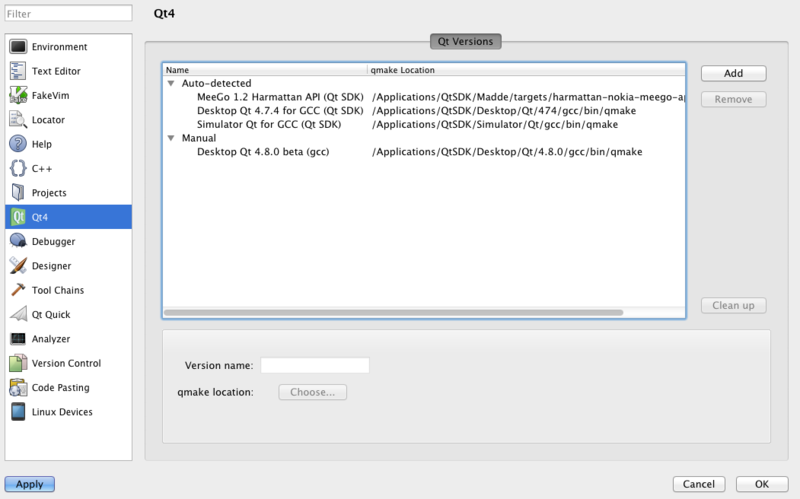 check Qt 4.8.0 beta (Desktop). and push ‘Continue’ button. 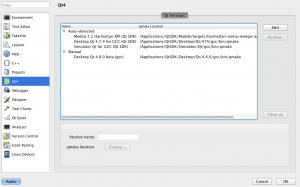 After SDK was installed, back to Qt application. Add the bata SDK manually. On pull down menu ‘Qt version’, you can select the beta SDK. Finally I tried to build, and it was success.